Cold or Lukewarm Radiators are one of the symptoms that you have a problem with your central heating system and a professional powerflush off your central heating system will solve this problem. 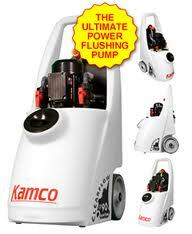 We use the latest Kamco professional equipment and we are fully trained. Slow Heating Response is one of the symptoms you need a powerflush on your central heating system, this is usually spotted when radiators take a long period of time to heat up or you don’t get the heat out of them required, call us for free advice. Pump Noises If you are hearing strange noises coming from your central heating pump, surges grating then this is a clear sign that your pump is struggling and becoming blocked with sludge then a powerflush is wise and can save the cost of replacing the pump. Boiler noises One of the signs that sludge and debris is building up is weird noises coming from the boiler, bangs and sudden surges can be heard if so then an inspection and powerflush of the system will solve this and be cheaper than a new boiler! Poor Hot Water If you are finding that when you turn the tap on fully it’s running cold for a long period of time or goes cold when fully open then a powerflush is of benefit as this is a sign that the boiler is having a problem creating hot water. Call us for free advice. Poor Circulation another common problem is the central heating system pipes get clogged up with sludge and debris. If you have a domestic central heating system that appears to be working hard but not as effective as you think it should be, we strongly advise having a Magnaclean filter fitted before problems occur and the system breaks down altogether. Cold radiators and a noisy pump are sure sign that there maybe an accumulation of sludge in the system. 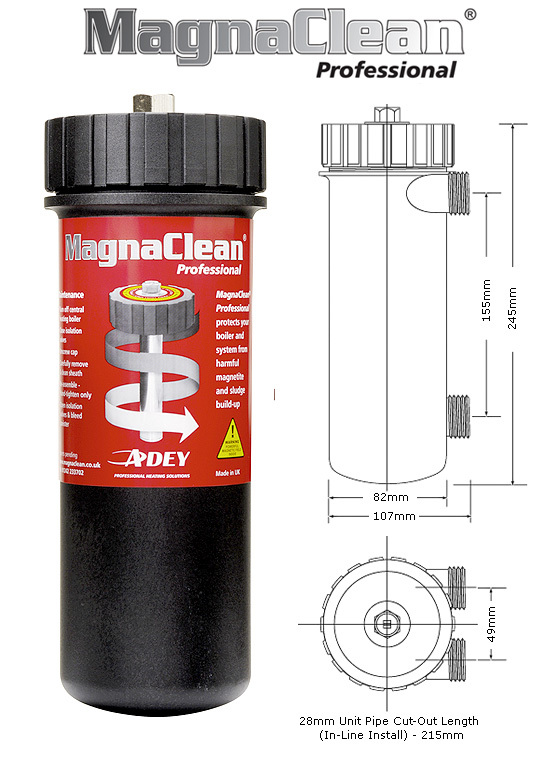 The MagnaClean filter will eliminate black sludge deposits much more quickly than they can build up. This will keep your your heating system running much more efficiently and prevent it breaking down. The MagnaClean filter will also slow down the 'ageing' process of the system and help to extend its lifespan. In addition to the problems associated with breakdowns and paying more than you need to for heating bills as a result of sludge build up, insurance companies will not cover these critical areas as they happen all too often. To ensure your central heating system works as efficiently as possible we strongly advise you to have a MagnaClean Filter fitted to your central heating systems after we have carried out the power flushing process. Need a central heating power flush? We power flush central heating systems in Notting Hill W11 at competitive prices, as part of our range of central heating services. If you are experiencing a noisy central heating system and cold radiators, as well as expensive heating bills, then power flushing your central heating system could be your solution to your problems. It is important to power flush central heating systems to ensure sludge is removed from the system to prevent it from accumulating. Power flushing will also improve the efficiency of your central heating system and hot water, provide working hot radiators and reliable hot water reduce your fuel bills, and provide you with peace of mind! Power flushing is a fast and efficient way of cleaning your central heating system internally. We power flush central heating systems by using water and a cleaning agent to flush the system through at high velocity, but low pressure, so that no physical damage is caused to the system. A thorough central heating power flush will take between 3 and 4 hours from set-up to completion. Should I carry out a central heating power flush before my new boiler is installed? We power flush central heating systems both prior to a new boiler installation (free of charge if You doing boiler installation with Us), as well as when problems occur. If you are having a new boiler installed in an old heating system, it is important that all sludge is removed from the system, as it could accumulate in the new boiler, therefore a central heating power flush is highly recommended. How much does a central heating power flush cost? The cost of a central heating power flush is dependent on the size of your central heating system. Power flushing is available from £240.00 standard (up to 5 radiators), and £30 per additional radiator. Below is a more detailed diagram showing symptoms which indicate a central heating system that can benefit from a power flush, were all for educating our clients so they know what they should look for.